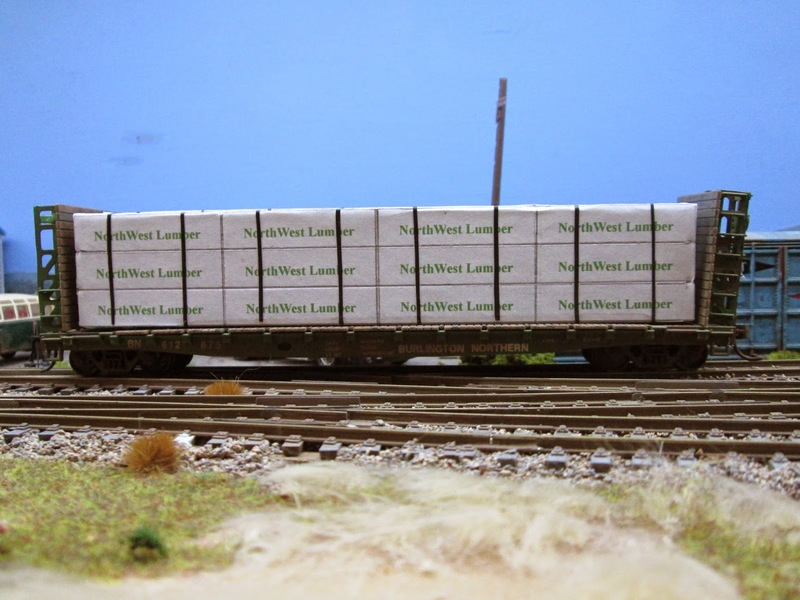 Some time ago I mocked up a wrapped lumber load for my bulkhead flats to collect from Northwest Lumber. These were very basic and intended as a test. Yesterday I knocked up version 2.. made some changes to the dimensions, decided to create two stacks and add some relief. Basically this load is a plan on one sheet of A4, printed out and cut to shape. I then wrapped the drawings around some foam board and card cut to shape. I scored the lines with a pencil and added strapping - black electrical tape sliced to size. Turns out to be rubbish as it doesn't stick very well. 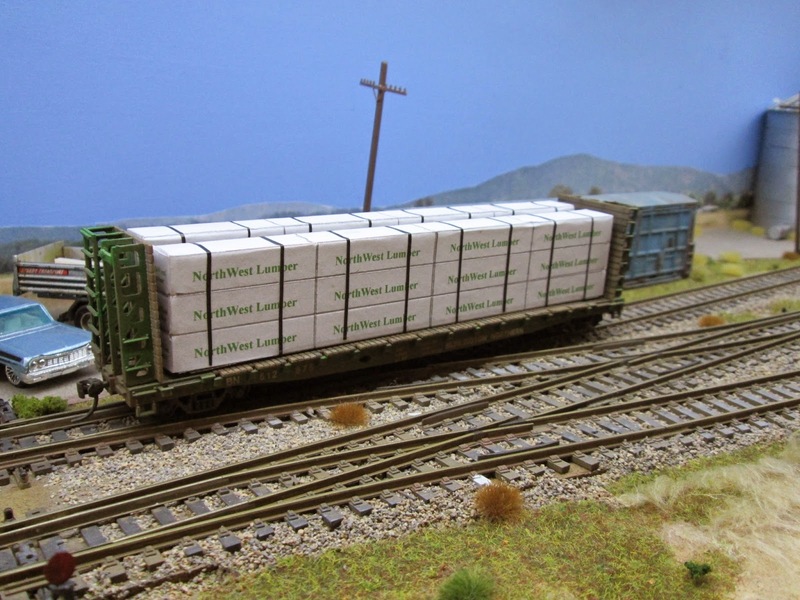 That's the floor of the wagon that is bowed, not the load!